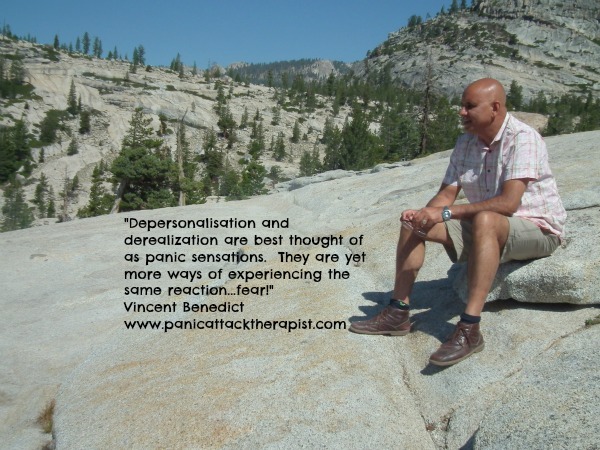 What is Depersonalization or Derealization? Most people have experienced at least one episode of depersonalization or derealization in their lifetime. These episodes sometimes only last a few seconds, but can last longer if the sensations are intense. In most cases, the experience is associated with anxiety, depression or fatigue. With depersonalization, people liken it to an out of body experience, where they feel disassociated with what is happening around them. With derealization, people describe it as experiencing a dreamlike state. I tend to think of it like an astronaut floating outside his spaceship, connected by a rope. Both these states are disturbing to the person experiencing them, due to thoughts of losing grip on reality, losing control, or going crazy. However, like any other anxiety sensations, they are harmless. 2. Suffer from depression, post-traumatic stress disorders, and dissociative disorders. 3. 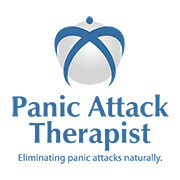 Have suffered from an intense panic attack, which may have lasted longer than normal. 4. Episodes of depersonalization are also common following the use of drugs, notably marijuana or ecstacy. There is no specific medication which has been approved for the treatment of depersonalization or derealization. Normally, doctors will prescribe drugs which are usually used for the treatment of anxiety or depression, such as benzodiazepines or SSRIs. Other medications may be used depending on which country you are in. Depersonalization or derealization has nothing to do with losing control and is best thought of as another panic sensation. These sensations are all different ways of experiencing the same reaction…fear! 1. The first thing to do is to accept that it is a sensation, which can’t harm you. Acknowledge its existence and accept the sensations. Do not try and fight them. This will only make the depersonalization or derealization more intense and last longer. 2. Try and focus on what is happening round you. Like the astronaut floating in space, try and pull on the rope and get back into the spaceship. 3. Actively become involved in what is happening around you. Force yourself to talk to people round you, sing along to some music etc. Once you start to relax and calm down, the sensations will start to disappear. Remember, this has happened to you before and has never harmed you. It is just an inconvenience like a cold. Don’t dwell on all the possible mental illnesses you could be suffering from. This is your creative brain looking for possible dangers. Not feeling connected to your surroundings is solely due to the anxiety in your system, and it is reinforced by your negative thinking. If you are looking for a structured programme to help you deal with your depersonalization or derealization, then click on this link. The techniques in this programme have been very successful in reducing anxiety, and you will receive personal support for myself. Please also join my facebook page and meet others who are beating anxiety. Depersonalization disorder (DPD) is a mental disorder in which the sufferer is affected by persistent or recurrent feelings of depersonalization and/or derealization.